The American Prize is honored to announce the winners, runners-up, and honorable mentions of The American Prize in Orchestral Performance, 2017-18. Congratulations! NEW PRIZES: Because of the quality and depth of the orchestral field in the college/university division this year, we are presenting University Division and College Division awards separately. (See below.) Also, a special award, for Public Magnet School Orchestra, is being awarded in the 2017-18 contest year. QUICKNOTES: Although The American Prize does not usually provide written evaluations to semi-finalists, some semi-finalists will receive in their certificate packets short comments, suggestions or overall impressions made during the judging. We hope they will prove valuable. All finalists receive written evaluations from a member of The American Prize judging panel. Now in its 67th season of bringing great orchestra music to the Lehigh Valley, the Allentown Symphony with Music Director & Conductor, Diane Wittry, plays time-honored masterworks, newly commissioned world premieres, and other intriguing repertoire, including new works by prominent composers. Each year, the ASO (www.allentownsymphony.org) performs more than 20 classical, pops, and family concerts. World-class artists that have performed with ASO include Midori, Emanuel Ax, Richard Stoltzman, Garrick Ohlsson, Angela Meade, and Peter Serkin, as well as jazz trumpeter Byron Stripling, saxophonist Branford Marsalis, and Broadway vocalist Christiane Noll. Its musicians include players from the urban centers of New York, Baltimore-D.C., and Philadelphia. The ASO has received grants from National Endowment of the Arts, and the League of American Orchestras in support of its El Sistema-inspired program for at-risk youth. The Symphony also annually hosts the National Schadt String Competition, which attracts top young performers from over the world. Founded in 2008 by Artistic Director and conductor Mark Mandarano, the Sinfonietta of Riverdale is a distinctive ensemble—large enough to perform chamber symphonies and small enough that each of its world class musicians is a featured soloist. 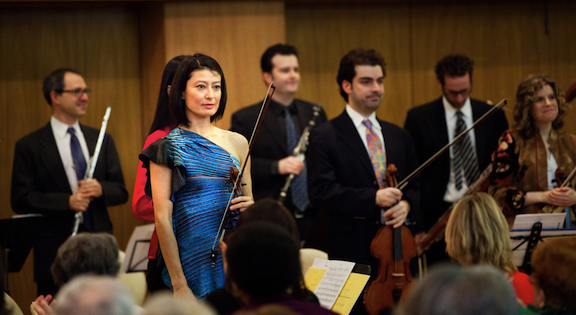 It has been deemed “Off-the-hook fabulous” by Time Out New York, while The New Yorker declared that “High culture has flowed northward into the Bronx.” The ensemble has performed the music of world-renowned composers, notably Esa-Pekka Salonen, John Corigliano and Ellen Zwillich, who have attended its concerts. It has commissioned works from leading young composers, including Roger Zare, David Bruce, Alan Fletcher, Byron Adams and Oliver Caplan. The Sinfonietta has two recordings on the Arabesque label. Its first CD on Albany Records, New World Serenade, features music by several generations of American composers and has received critical praise: “The Sinfonietta of Riverdale under the direction of Mandarano brings all of [the music] off exceedingly well, with stellar playing—Exquisitely beautiful—highly recommended all around.” Fanfare. The Sinfonietta is now in its 9th season. The Baylor Symphony annually presents six concerts of standard repertoire, a full opera production, concerto accompaniments, new music readings, choral collaborations and children's concerts reaching an audience of 6000 area schoolchildren. The Symphony has appeared at the T.M.E.A. Convention eight times, at Piccolo Spoleto and at a national convention of A.S.T.A and recorded a PBS Special seen by six million viewers. The Baylor Symphony has collaborated with many distinguished American performers including Van Cliburn, Joseph Gingold, Robert Shaw, Corey Cerovsek, Jacob Druckman, Lorin Hollander, Roberto Diaz, Andrew Balio and Peter Schickele among others. The BSO has taken international tours of Costa Rica (2004) and Belgium (2010) and has won the prestigious American Prize for three consecutive times (2015, 2016 and 2017). 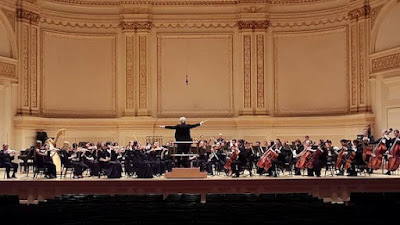 Former members of the BSO have won positions in many professional orchestras including New York, Los Angeles, Philadelphia, Atlanta, Dallas, Detroit, Pittsburgh, Seattle, Cincinnati and Fort Worth among others. The Davidson College Symphony Orchestra (DCSO), directed by Tara Villa Keith, is an active undergraduate ensemble in a top ten liberal arts setting. The DCSO is composed of approximately fifty musicians, including students, faculty, and community members. Every January, the orchestra goes on a regional tour, performing concerts and giving clinics at various schools and churches. In addition to its regular four-concert season, the DCSO gives two outdoor concerts and performs during Family Weekend and in an annual Holiday Gala. In addition, the DCSO features winners of the concerto competition and serves as a workshop orchestra for student conductors. The DCSO is also in its ninth season of Concerts for a Cause, in which donations are accepted at the door at each of its main concerts. One-hundred percent of the donations are given to various charitable organizations chosen by the Davidson students and community. Please visit us at www.davidson.edu/academics/music/ensembles/symphony-orchestra. Professor Edwyn Hames founded the Hillsdale College/Community Orchestra in 1951 and served as Music Director through 1966. Professor James A. Holleman was named Music Director in the fall of 1997. The name of the ensemble was changed to The Hillsdale College Symphony Orchestra in the fall of 2010 to reflect the growth in personnel and rehearsal schedule of an ensemble primarily consisting of full-time Hillsdale College students, mostly non-music majors. Music department faculty members serve as coaches for each section of the orchestra. 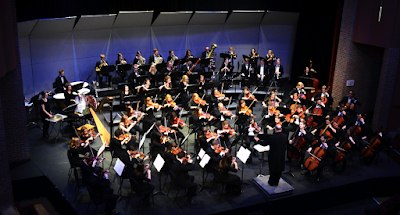 The orchestra typically performs four concert cycles per academic year, each with two performances. 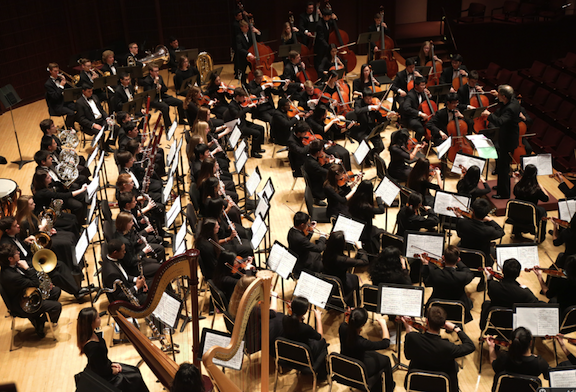 Annually students compete in the Concerto/Aria Competition with winners selected to perform as soloists with the orchestra during the March and May concerts. 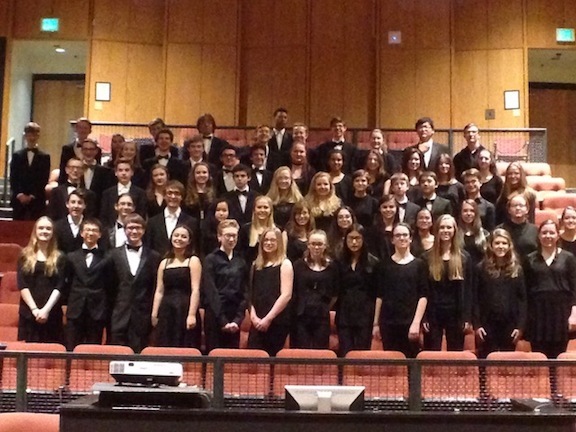 The orchestra was selected and performed at the 2017 CODA National Conference on the campus of George Mason University. Now entering its 84th season, the William & Mary Symphony Orchestra is comprised of Non-Music Major students of the College of William & Mary; mostly undergraduates but also a few graduate students and community members. 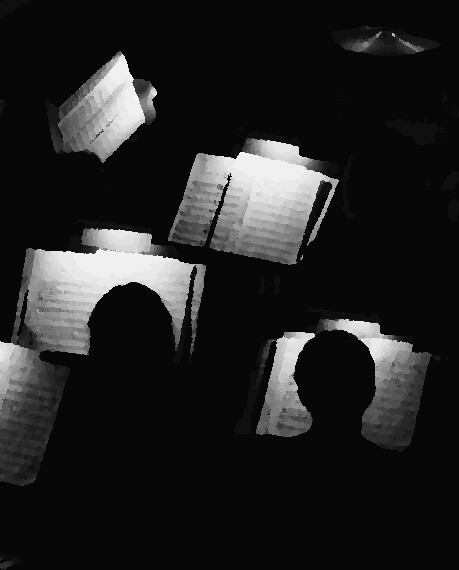 Its mission is to grow through performances of great orchestral literature and to contribute to the artistic community of the College and beyond. WMSO has performed major works by Beethoven, Berlioz, Brahms, Dvorak, Mahler, Bartok, Ravel, Strauss and Tchaikovsky and offers additional opportunities such as guest artist collaborations, premieres, and tours. In 2002, WMSO took its first international tour to Italy and Sicily. The orchestra's domestic tours include performances at the Lang Recital Hall at Swarthmore College, PA (2012), the Harold J. Kaplan Concert Hall at Towson University, MD (2013), and most recently at Bellefield Hall at University of Pittsburgh, PA (2014) and at the Kennedy Center in Washington, DC (2015). The Seattle Collaborative Orchestra (SCO) is a diverse, multigenerational performing arts organization representative of the greater Seattle community. SCO is devoted to bringing classical and new symphonic works into local schools and communities. SCO musicians include students, community members, and professionals who work together to create a unique and collaborative musical experience dedicated to expanding beyond traditional organizational and musical boundaries to promote a more diverse performing and listening audience. SCO programs innovative and eclectic music, features music by female composers, and provides opportunities to emerging Pacific Northwest performing artists. 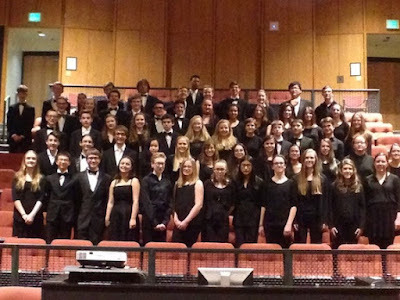 Our musical goals create engaging, educational, and collaborative experience by coupling committed student and community members with experienced professionals representing premier Seattle-area ensembles. Our organization provides an avenue for professional musicians wishing to contribute to the sustainability of orchestral music through nurturing and mentoring students within a challenging performance experience. Working alongside professional musicians, students learn to reach higher levels of musicianship and develop traits of professional responsibility. 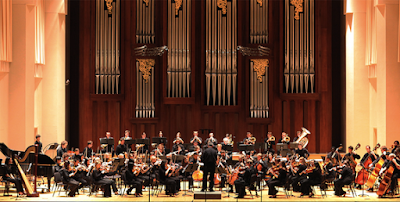 Established in November 2000, Texas Medical Center Orchestra (TMCO) is one of very few community orchestras in the United States and the world with its origin in the health professions. It includes physicians, dentists, nurses, medical students, biomedical scientists, social workers and other allied health professionals who are dedicated to making music. 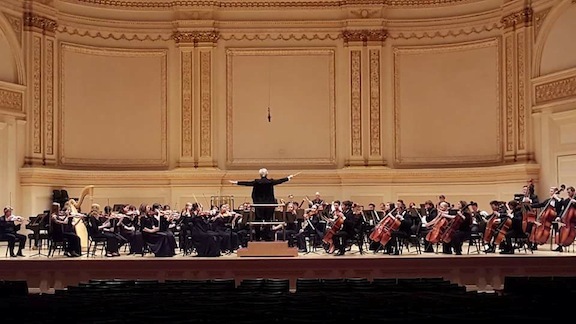 Part of the orchestra’s mission is to provide health care professionals a creative outlet; offer aﬀordable concerts to a diverse public audience; and bring public attention and support for, medically related and/or educational charities. Performances have been mainly in Houston, and within Texas. Practically every Wednesday evening from September to June, members of the Arlington Philharmonic Orchestra gather to rehearse for one of the five concerts they perform in each season. The players range widely in age and experience, but all have in common the love of making music. Depending on the Orchestra’s needs, new members are welcome and no audition is necessary to join. Each new season features a sprinkling of new faces ranging from young students to seniors. Many members are loyal veterans – one violinist played with the Orchestra for 70 years, starting shortly after it was established in 1933! Under the baton of Music Director Orlando Cela, the Orchestra presents its first concert in November. 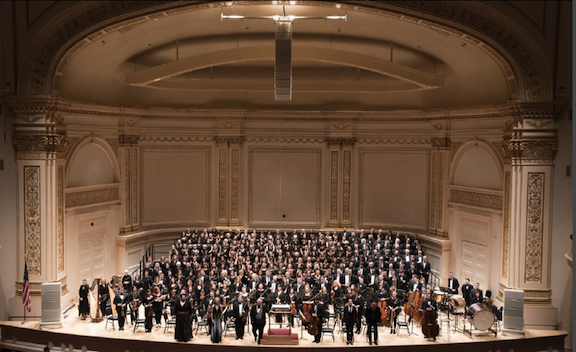 A joint concert follows in December in which the Orchestra and the Arlington-Belmont Chorale combine forces led by Chorale Music Director Barry Singer and Maestro Cela. In February, the Orchestra performs a Family Concert designed to inspire youngsters of all ages. In May, the Orchestra and the Chorale are together again to present the Philharmonic Society’s Sponsors’ Concert. The season concludes with the POPS! Concert in June, which features both the Orchestra and the Chorale and is coupled with a delightful pre-concert Strawberry Festival. The Orchestra takes pride in presenting a broad spectrum of the traditional classical repertoire as well as modern works, including local composers. POPS, of course, predominately showcases lighter works taken from the worlds of jazz, show tunes and movie scores. In addition, the instrumental winner of the Philharmonic’s Young Artist Competition (as well as the occasional vocal winner) gets a performance as a soloist with the Orchestra. These young instrumental soloists span the full range of instruments from piano to violin and never fail to deliver amazing performances. The Central Jersey Symphony has been providing musical experiences for the communities of Somerset County and beyond for nearly 50 years. 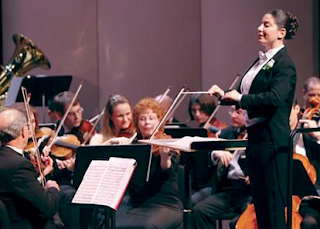 The orchestra's performance homes reflect its regional impact, from its ancestral home at Raritan Valley Community College to recent performances at Drew University. Under the leadership of music director Michael Avagliano, the CJSO brings together musicians from six counties in New Jersey to create a vibrant musical life for our community. Recent seasons have seen collaborations with Light Opera of New Jersey to present fully staged operas, world premieres of works by New Jersey composers, and the next generation of performers being showcased through the Young Pianists Competition of New Jersey. Visit our website, www.cjso.org, to find out more about our upcoming season. The Denver Young Artists Orchestra (DYAO) was formed in 1977 under the auspices of the Denver Symphony Orchestra, now the Colorado Symphony Orchestra (CSO). It was started as a means for Colorado’s most talented young musicians to rehearse and perform together under demanding professional standards. The mission of the Denver Young Artists Orchestra Association (DYAO) is to provide the finest possible youth orchestra programs, inspiring and educating young musicians through the performance of great works of music, and offering valuable cultural opportunities to the community. For thirty-nine years, DYAO has nurtured the talents of the Rocky Mountain region’s finest young musicians. Today, the organization’s five orchestras and group strings classes train nearly 300 students ages seven to twenty-three annually. Wes Kenney has been the Music Director and Conductor for the Young Artists Orchestra since 2013. Founded in 1946, Houston Youth Symphony (HYS) is the recipient of national acclaim including the 2016 first prize winner of the Mark of Excellence Award from The Foundation for Music Education and the 2016 American Prize in Orchestral Performance – Youth Orchestra Division Each season approximately 400 musicians between the ages of seven and 19 come from across the greater Houston area to perform in one of five HYS orchestras. In addition to the core orchestra program, HYS offers advanced musicians a chamber music training program and an annual concerto competition. 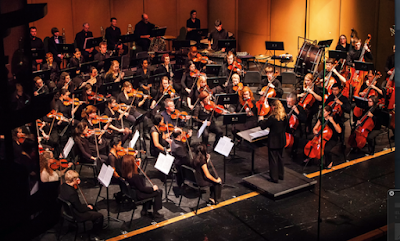 The mission of the Knoxville Symphony Youth Orchestra (KSYO) is to educate students through high-level orchestral training in a professional environment while developing new audiences for symphonic music. 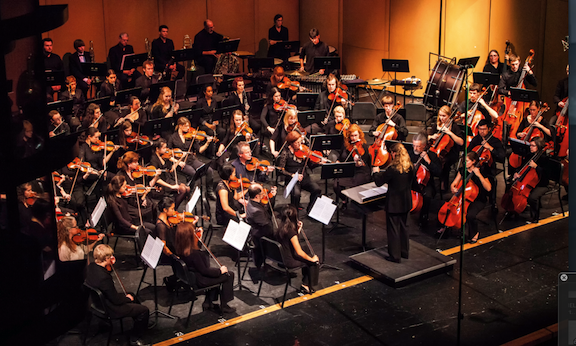 The KSYO strives to create connections for students and their families that inspire a life-long love of music and instill a sense of responsibility for the quality of the arts in their community. Sponsored by the Knoxville Symphony Orchestra, the KSYO is an auditioned full symphonic orchestra and five string ensembles totaling over 325 student musicians. Students ages six through 18 are placed by audition in ensembles from a training string orchestra (Overture) through three beginning and intermediate string orchestras (Preludium, Philharmonia, Sinfonia), to a Youth Chamber Orchestra which performs professional level string repertoire, and a full orchestral ensemble (Youth Orchestra) which performs professional level orchestral works. Entering its 44th season, the KSYO performs four concerts annually at the Tennessee Theatre. 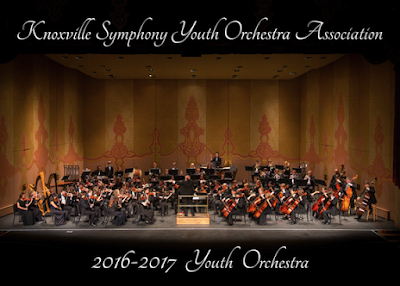 Please visit http://www.knoxvillesymphony.com/youth-orchestra/. The DSAO serves talented and dedicated string musicians who play the violin, viola, cello or double bass. Our program explores a diverse spectrum of musical styles and genres with an emphasis on classical technique and repertoire. Admittance into the program is by successful audition. Auditions are open to any student living in the United States. Although most of our students come from Colorado, students from as far away as Texas, Wisconsin and Florida have recently joined our orchestras. DSAO was selected to participate in the Midwest Clinic during 2015-2016 as well as the ASTA’s National Orchestra Festival during 2015 and 2018. The Seven Lakes Orchestras have striven to be a leader in musical performance through innovative programming and presentation. We have sought to inspire our audiences and each other through diligent study and performance of the greatest string and symphonic music composed. With a commitment to musical excellence, the ensembles have set out to reach the goal of being among the leading ensembles in Texas. 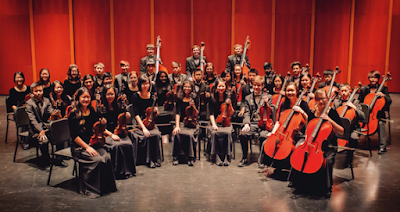 The Symphony Orchestra has regularly placed in the top ten orchestras in TMEA’s Honor Orchestra competition. In July 2015, the ensemble was named the TMEA Honor Full Orchestra, winning our equivalency of the state championship. The Foundation of Music Education named the ensemble a National Winner in the Mark of Excellence for the National Honors Project in 2015. The Symphony earned the national title again in 2016. The Symphony Orchestra is conducted by Desiree Overree and John Mays. With a commitment to excellence, we have set out to reach the goal of being among the leading ensembles in Texas. 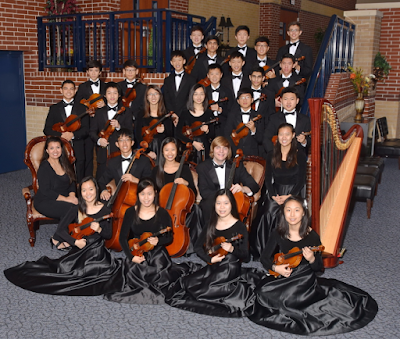 Since the school’s opening in 2005, this ensemble has consistently placed as one of the top 10 string ensembles in Texas. Individuals have earned top honors including membership at the Region, Area, and State level, and medaled at various competitions. The Foundation of Music Education named the Sinfonia Orchestra a National Winner in the Mark of Excellence / National Honors Project in 2015, and a Commended Winner in 2016. This ensemble is conducted by Desiree Overree. Located in Sugar Land, TX, The John Foster Dulles Orchestra program is one of the largest orchestra programs in Fort Bend ISD and one of the premiere orchestra programs in the state of Texas. Located in Sugar Land, a southwest suburb of Houston, Fort Bend County and Dulles High School are among the most diverse schools in America. The orchestra program in Fort Bend ISD began in 1990 and Dulles High School has only had two orchestra directors. Michael Isadore became the director of orchestras in 1999 and today the program boasts over 170 members. The Dulles Orchestra has been consistently awarded the Mark of Excellence National Honor Orchestra Award and Commended Award in the string and full orchestra categories, been runner up for TMEA Honor Orchestra and has performed at the Midwest Clinic in 2004 and 2016. The Jasper High School Orchestra is proud to be recognized as one of the most accomplished orchestra programs in America. Jasper is a grade 9 and 10 campus in Plano, TX, a Dallas suburb. Their orchestra currently serves over 240 students in five orchestras. 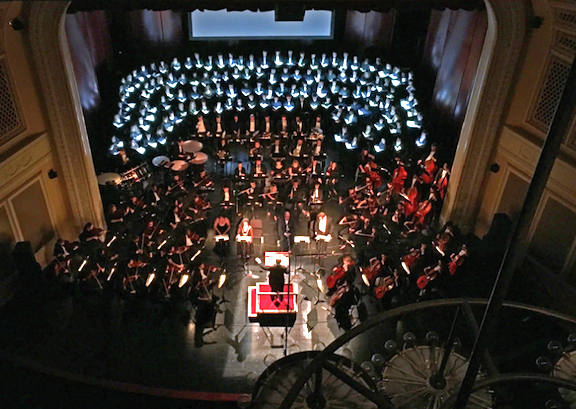 Since its inception in 1996, Jasper’s Legacy Orchestra has repeatedly ranked as one of the top three string orchestras in Texas, despite competing alongside high schools that fill their orchestras with 9th through 12th graders, and in 2014, the Jasper Symphony Orchestra was named TMEA Honor Full Orchestra, or first place in Texas. Jasper’s orchestras have also repeatedly earned top commendation at UIL competition and festival competitions across the nation. The program is led by Director of Orchestras, Matt Moreno.